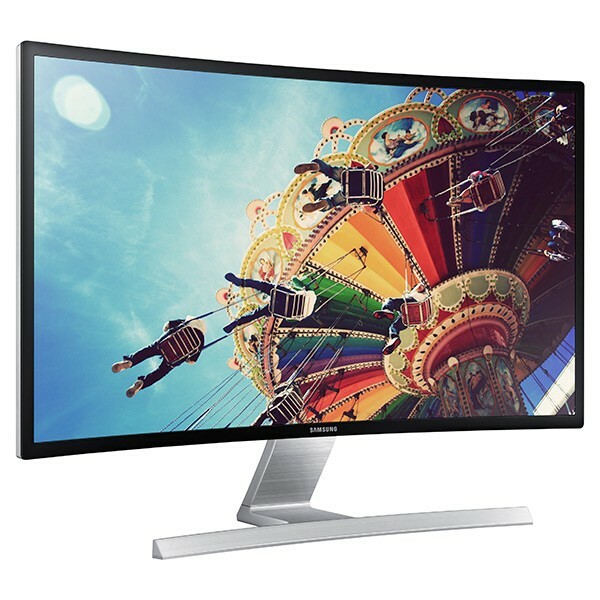 Featuring a 27" Curved LED Screen, the S27D590CS monitor delivers a captivating , realistic viewing experience that takes entertainment to a whole new level. 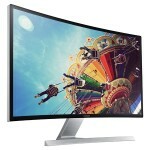 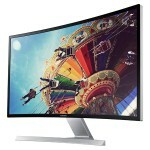 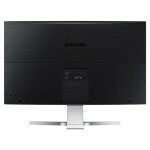 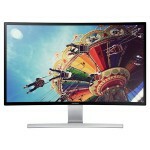 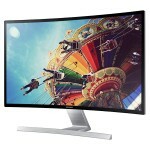 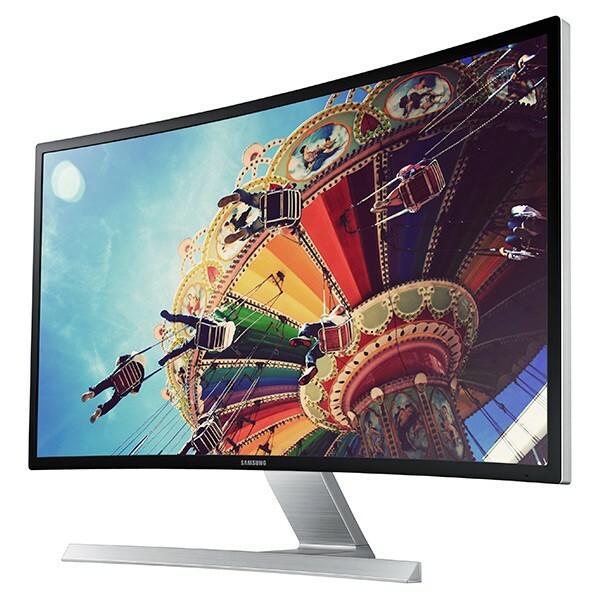 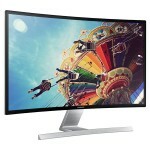 To develop this monitor Samsung engineers studied the human eye to determine the optimal screen curvature, which puts every corner of the screen at the same distance from your eyes providing the most comfortable immersive viewing experience. 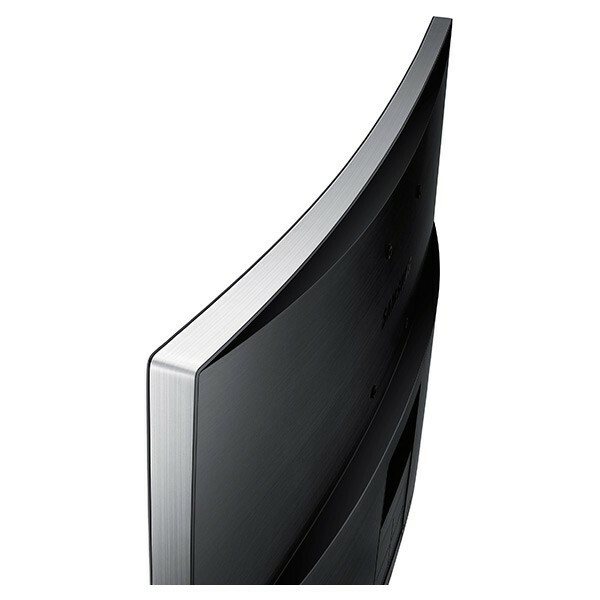 Constructed from sophisticated metallic materials, the S27D590CS was designed with a clean and understated look that ensures nothing distracts viewers from the enhanced viewing experience of the curved screen. 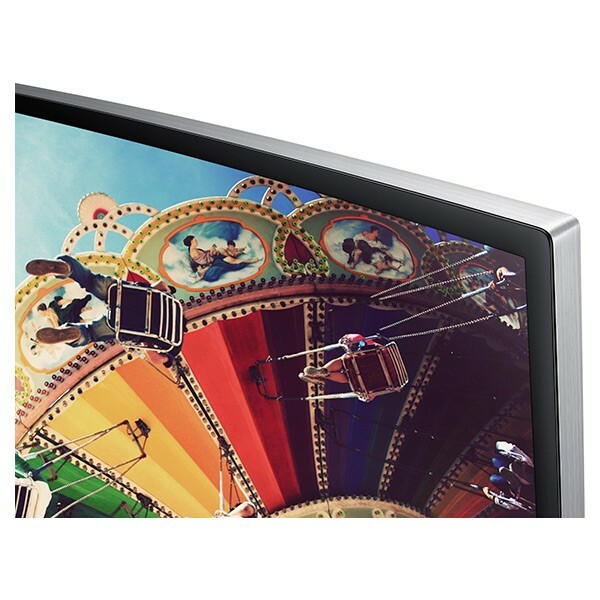 Elevated on a sleek, T-shaped stand, the picture seems to almost float in mid-air, framed perfectly by a super narrow bezel. 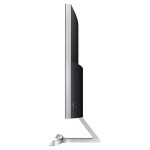 The monitor's metallic body and clean back also enhance its sophisticated and minimalist silhouette. 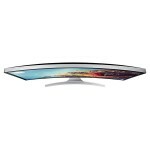 Equipped with an extra-wide viewing angle of 178-degrees horizontally and vertically. This design feature optimizes the viewing experience from any position and minimizes picture distortion. 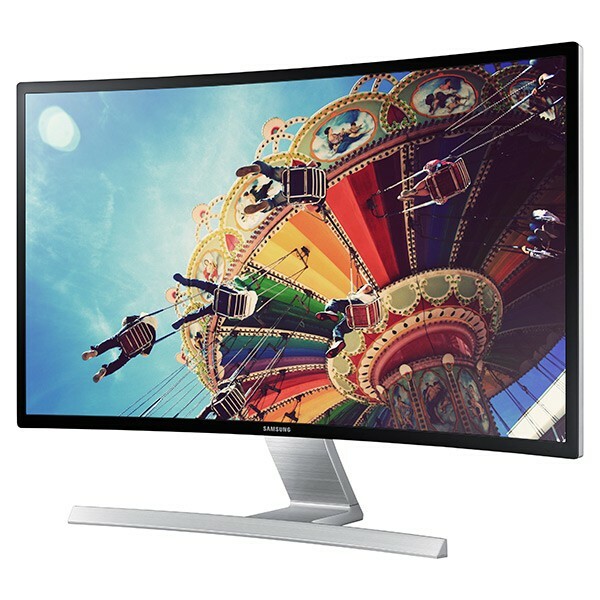 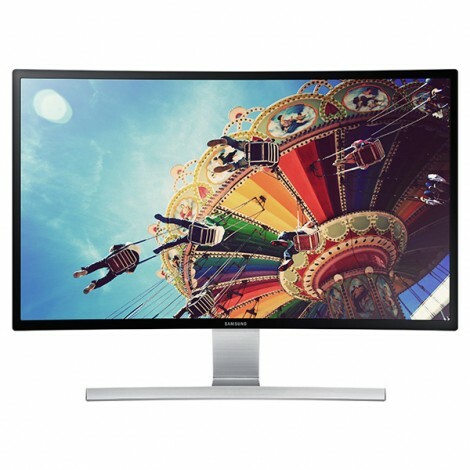 The monitor also offers a 3000:1 high contrast ratio featuring Mega Dynamic Contrast Ratio (Mega DCR) technology and a typical brightness of 350 cd/m2. 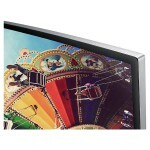 Together, these features provide viewers with vibrant picture quality and improved visibility of on-screen action. Experience immersive surround sound with built-in 5-Watt, 2-channel dual stereo speakers. 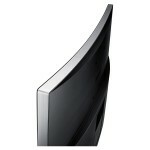 The rich, high-quality sound will take your entertainment to new heights. With just one touch of a button the S27D590CS automatically optimizes brightness and contrast to best display your content. Six pre-programmed modes, including Game Mode, allows you to easily switch settings to optimize the screen to view everything from tiny text to the most intricate details of fast-paced games. 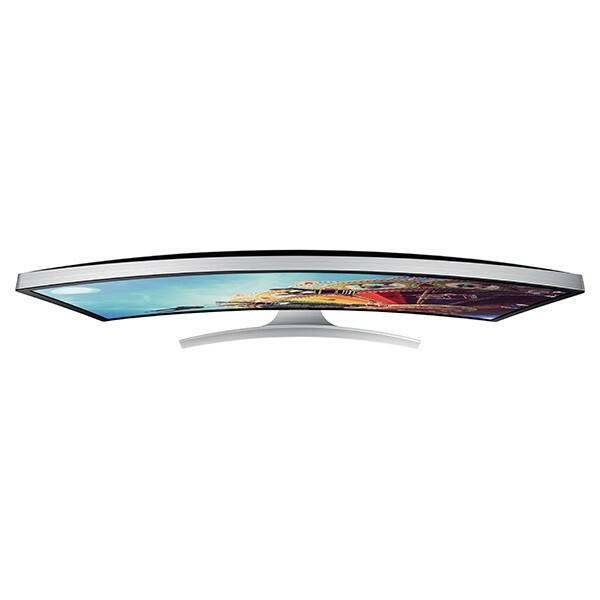 Expand your world of immersive entertainment by connecting two or three monitors simultaneously to create a wider viewing experience*.